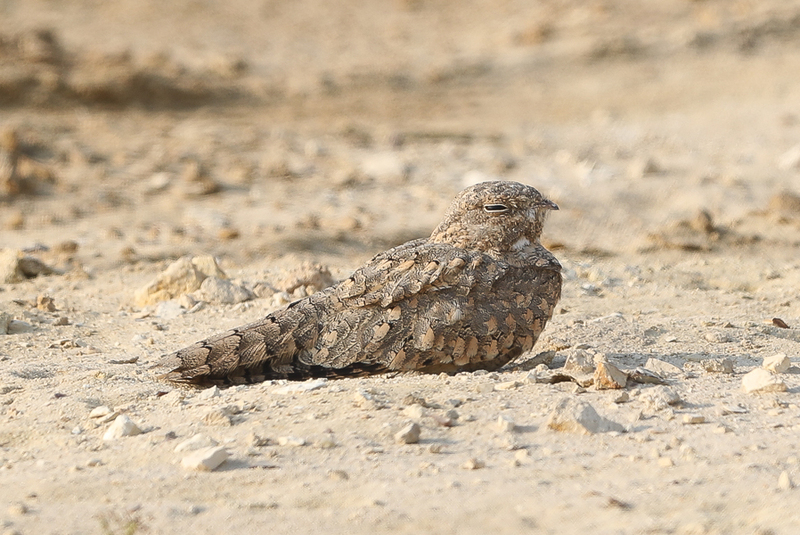 The Egyptian Nightjars Caprimulgus aegyptius that are again spending the summer in Jubail are still around in good numbers with eight seen at various places around the site in mid-August. 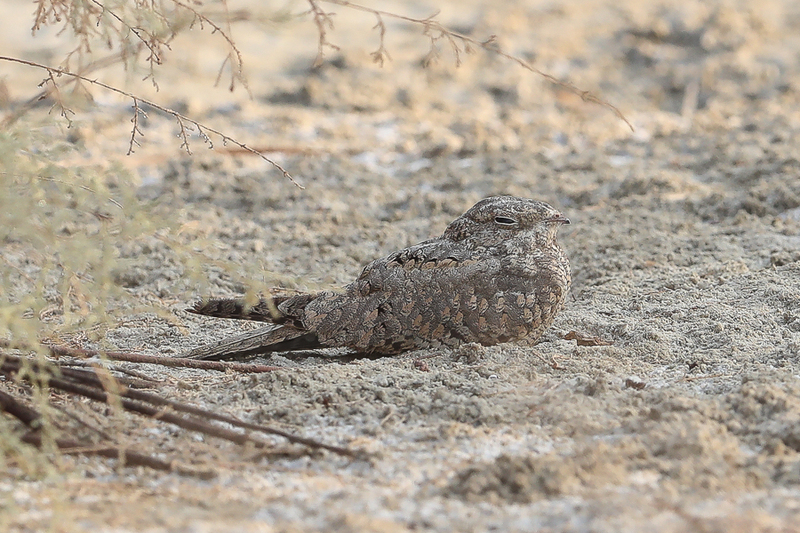 The Egyptian Nightjar is an uncommon bird in Saudi Arabia but birds are regular in the Jubail area in the summer. 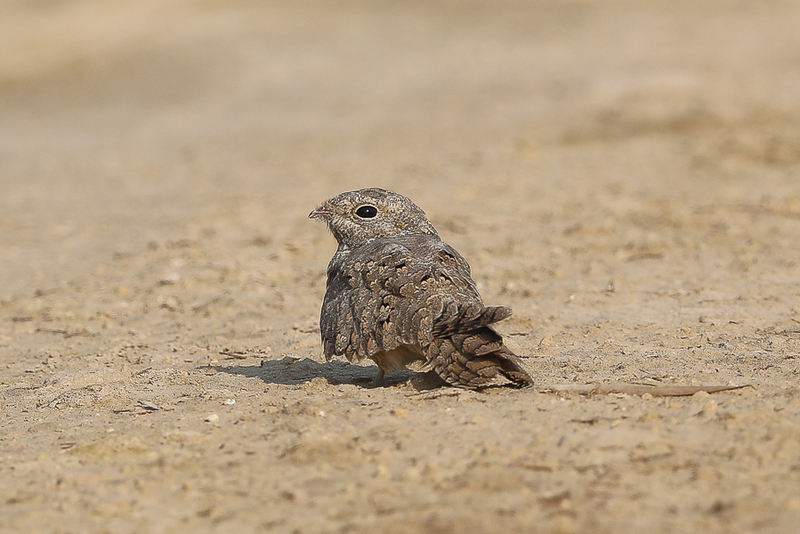 The birds are normally seen sitting in the shade under small bushes but some of the ones we saw were alongside a track and out in the open allowing for some good photos to be taken. 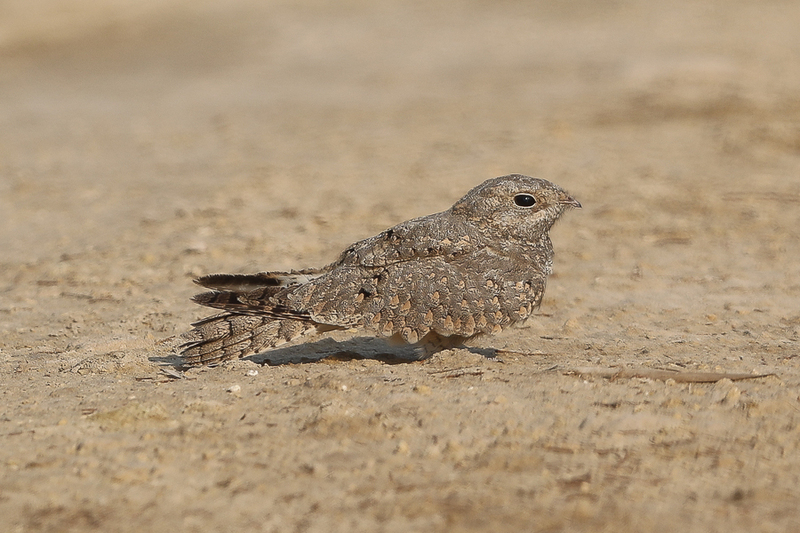 The photos below were of a three different birds. 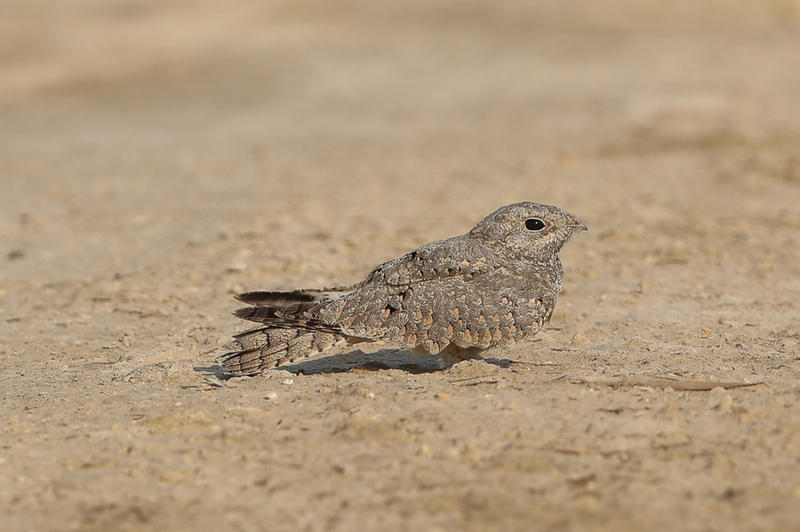 This year birds have been seen all over Jubail in many areas where I had not seen them before. As I do not want to disturb the birds I have not got a clear idea of numbers this year but there are at least 13 present and probably many more.